Lunch service is over and Mr. M collects some leftovers to share with his companion, Sissy. He does this every day, after each meal, because Sissy can’t come to the dining room. Mr. M takes care of Sissy, and they enjoy their daily walks together. Through these activities, Sissy also helps Mr. M to feel happy and loved. Mr. M and Sissy — a plump black Chihuahua mix — both reside at Pine Grove Nursing Center deep in the heart of the east Texas piney woods in Center, TX. Pine Grove has another furry friend, Precious, who visits twice a week with her owner, Kellie Baty, who is the community’s beautician. Precious — a personable Boston terrier — sits in a chair and visits with the residents who sometimes paint her nails. Precious makes special visits to the residents who don’t leave their rooms on a regular basis, or those who weren’t able to make it to the beauty shop that week. For many senior citizens and their families, the transition to a care facility is emotionally stressful in itself — but a strong bond with a pet can add significant worry concerning the future of the pet. Sometimes, a necessary move is delayed when a pet is involved. That emotional strain is being lifted by an ever-increasing number of senior living communities that allow companion animals. According to A Place for Mom — the nation’s largest senior living referral service — approximately 40 percent of the people who call are specifically asking about pet policies. According to the CDC, nursing homes, assisted living facilities and skilled nursing facilities (known as long-term care facilities) provide a variety of services, including medical and personal care to those individuals who can no longer independently care for themselves. Annually, about one million people live in assisted living facilities and more than four million reside in, or are admitted to, skilled nursing facilities or nursing homes. Over the past 20 years, there’s been a cultural change toward a person-centered model of care for our elders. The acceptance of fur, feathers and fins in the nursing home setting has been a major part of that change. 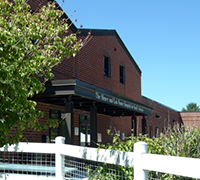 The use of animal-assisted therapies, along with visits by therapy animals, pets on staff and personal pets are now accepted as an integral part of the individual’s overall health and well-being. 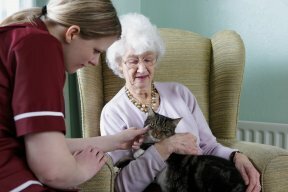 Residential care facilities understand the importance of pets and, according to the 2010 CDC National Survey of Residential Care Facilities (the first of its kind), 39 percent of them had residential pets that include dogs, cats and birds on staff for the residents. The survey also cites that 54 percent of residential facilities allowed residents to bring their personal pets. -The limit to the number of pets an individual may have (usually that number is two). Be aware, however, some places also have breed and size restrictions. -The individual must be able to care for the pet and have a back-up care plan in the event they are no longer able to care for the pet. Some places have Pet Care Coordinators, but do your homework ahead of time to avoid a disappointing surprise. 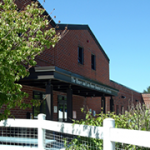 -The resident must be financially able to provide food and veterinary care. -The pet must be current on vaccinations. -Often, a pet deposit is required. -The pet must meet guidelines of weight, behavior, age, size, breed and other possible restrictions. As the number of pet-friendly residential care communities continues to grow, there are some communities where animals are more than just accepted — they are required. For example, at the Eden Alternative and Silverado communities, animals are a core part of their philosophy of care. Some of their staff animals include pot-bellied pigs, a baby kangaroo, rabbits, small horses and llamas. 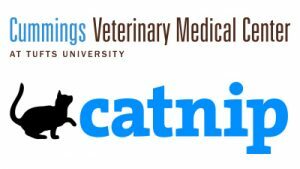 Residential care facilities incorporate caring for the animals — whether staff pets or personal pets — as part of the resident’s treatment plan. 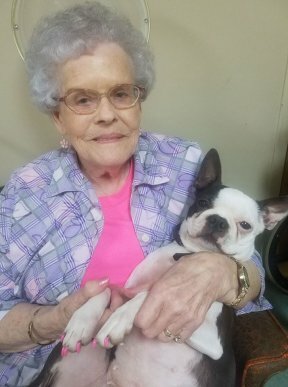 “Precious” is a Boston terrier who spends time at the Pine Grove Nursing Center, even allowing the residents to paint her toenails! Pets enhance physical health and emotional well-being, contributing to higher quality of life; this is especially important for elders who face loneliness, isolation and depression. As more health studies show the positive health benefits of pet companionship, it’s likely more long-term care facilities will become pet-friendly in the future. — Ramona Marek, MS Ed. Caption for photo at top of page: Care providers for the elderly notice that the pets can be great motivators — improving mood, reducing anxiety and creating a desire to get well faster.